"CISCO MR53 is one of its kind." 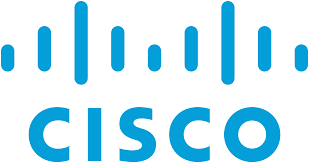 Cisco in General dilise provide some great features. The MR53 provides great security when it comes to our Wifi Access Points. Its fast and highly secured. Most of our equipment is Cisco controlled. The Cloude base is great as well! I dont think that there is a ything really to dislike. I would say the cost but a good product comes with a higher price. Managing Secured Wireless Access Points trough out the building. Great to use for our cloud based system. * We monitor all MR53 reviews to prevent fraudulent reviews and keep review quality high. We do not post reviews by company employees or direct competitors. Validated reviews require the user to submit a screenshot of the product containing their user ID, in order to verify a user is an actual user of the product. Hi there! Are you looking to implement a solution like MR53?